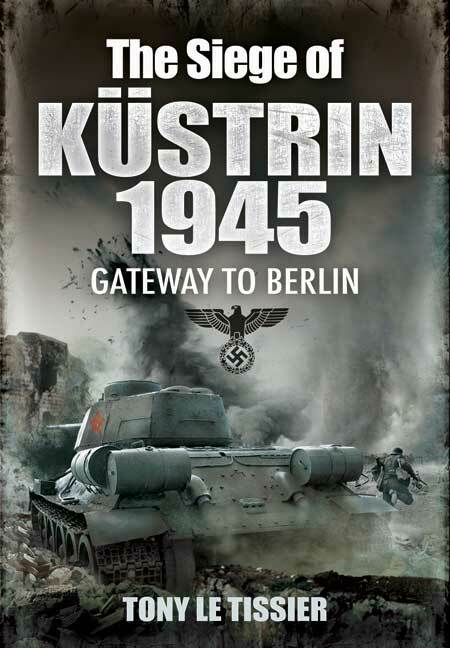 You'll be £4.99 closer to your next £10.00 credit when you purchase The Seige of Kustrin 1945. What's this? The unexpected arrival of Soviet troops at the end of January 1945 at the ancient fortress and garrison town of Küstrin came as a tremendous shock to the German High Command - the Soviets were now only 50 miles from Berlin itself. The Red Army needed the vital road and rail bridges passing through Küstrin for their forthcoming assault on the capital, but flooding and their own high command's strategic blunders resulted in a sixty-day siege by two Soviet armies which totally destroyed the town. The delay in the Soviet advance also gave the Germans time to consolidate the defences shielding Berlin west of the Oder River. Despite Hitler's orders to fight on to the last bullet, the Küstrin garrison commander and 1,000 of the defenders managed a dramatic break-out to the German lines. The protracted siege had an appalling human cost – about 5,000 Germans were killed, 9,000 wounded and 6,000 captured, and the Russians lost 5,000 killed and 15,000 wounded. Tony Le Tissier, in this graphic and painstakingly researched account, has recorded events in extraordinary detail, using the vivid eyewitness testimony of survivors to bring the story of the siege to life. The Siege of Küstrin is filled with narratives of the soldiers who fought during the battle. The fall of Küstrin allowed the Soviets to bring up captured German siege artillery from the Crimea and fire half-ton shells from the marshalling yards of Schlesischer Station into the heart of Berlin. Küstrin’s stubborn defense disrupted Zhukov’s schedule for the capture of Germany’s capital.